"A perfect crossover between a fully-equipped ski jacket and a stylish city coat. A crossover between a fully equipped ski jacket and a sophisticated city jacket so you will feel right at home on the slopes or going to dinner after a day on the slope. 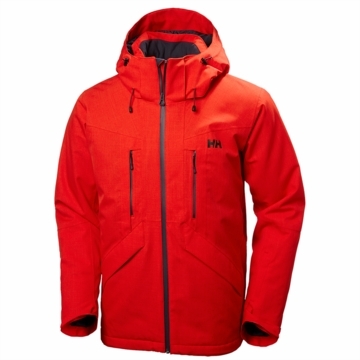 It is build with a Helly Tech Performance stretch fabric, the highly innovative H²Flow system turbocharging mechanical venting that keeps you dry, warm or cool depending on the conditions. Primaloft® padding and all needed ski features to round of a great ski jacket.